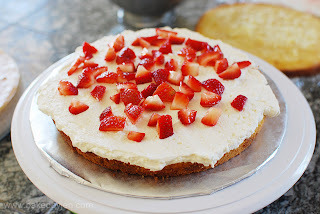 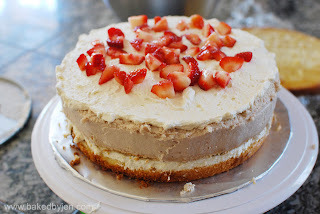 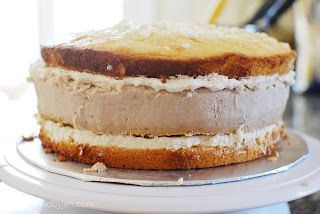 I have been meaning to do another "cheesecake" cake since the very first time it was featured here on my blog. 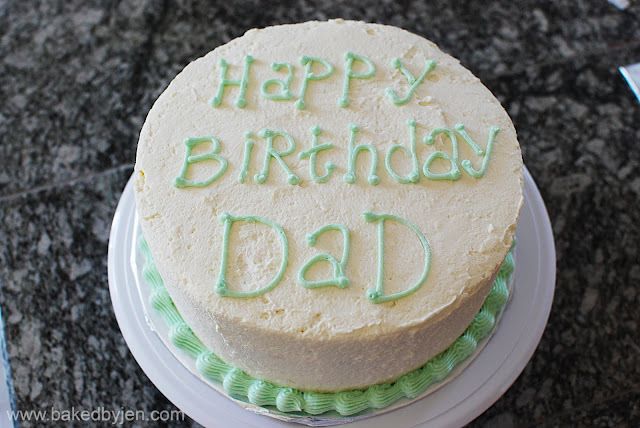 I finally got a chance to make another version for my dad's birthday cake. This time around, it was a strawberry cheesecake shortcake. 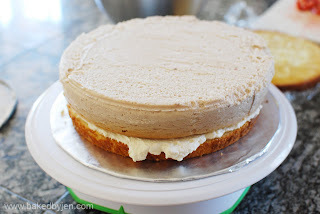 Cheesecake and stabilized whipped cream frosting was from my favorite cheesecake book, Junior's Cheesecake Cookbook while the white cake was from one of my go to recipes. 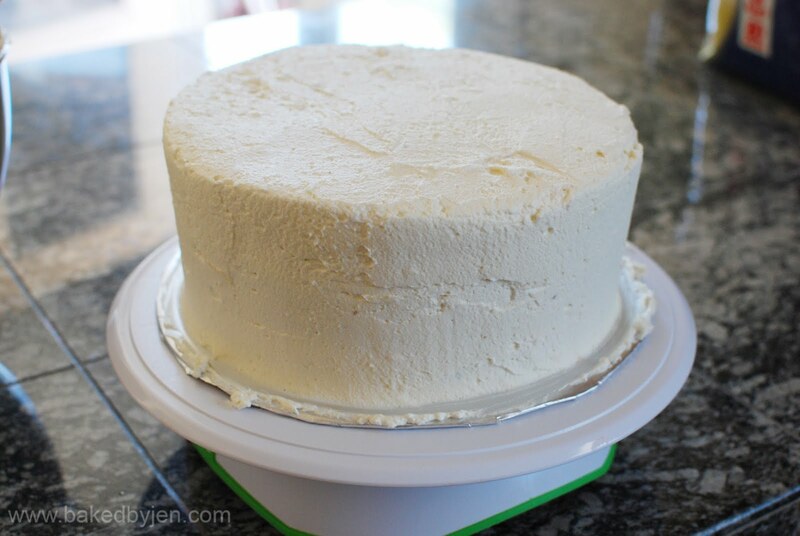 Lastly, cover in a stabilized whipped cream frosting and decorate as desired.